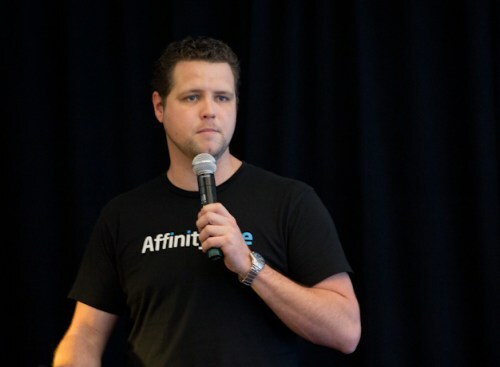 AffinityLive, which creates integrated, cloud-based business-automation software for the professional service sector, has secured $2 million funding to accelerate client growth and product innovation. Investors include Australian VC firm Blackbird Ventures, as well as investments from Silicon Valley’s Rothenberg Ventures and a handful of private investors with deep industry experience and connections. 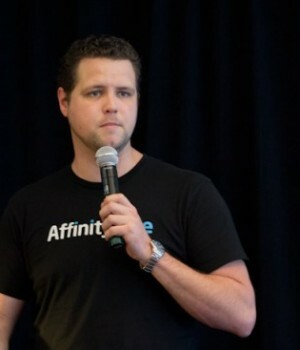 “As businesses grow and hire more people, the manual ways they’ve been working start to break down,” said Geoff McQueen, founder and CEO of AffinityLive (pictured). AffinityLive, which had bootstrapped its way to seven-figure recurring revenues, will use this funding to further accelerate growth in the under-served and rapidly growing professional services sector. The software company plans to more than triple its staff across both sales and marketing teams as well as the product development and engineering team. “For a business of our stage – with millions in recurring revenue, low churn, high usage and strong growth – raising just $2 million is quite contrarian,” said Geoff. “However, our revenues and growth rate mean we didn’t need to raise a bigger round right now, and also helps ensure we don’t change our focused culture forged through bootstrapping such an ambitious product,” he explained. Geoff also told Anthill that he is a strong proponent of founders only raising what they need when they get the business to the point where investors are chasing them. “There’s a lot of pressure to raise as much as you can as often as you can, and while this is in the best interests of the VCs, the media and service providers, it might not be in the best interests of the company,” he stated. The lead and majority investor in this round is Blackbird Ventures, a relatively new early-stage fund backed in turn by seasoned entrepreneurs including the founders of the successful enterprise software developer, Atlassian. With recent investments in Canva, Autopilot and Bugcrowd, Blackbird is focused on start-ups that solve real business problems for large and often ignored markets. The fund’s interest in AffinityLive came from the company’s success in solving previously intractable problems within the massive and underserved professional services industry. The other institutional investor in this round is Rothenberg Ventures, an early-stage fund that has backed companies like Luxe, Zenpayroll and Robinhood. In addition to these two funds, the round also saw participation from a number of industry and entrepreneurial luminaries including Universal McCann’s SVP of Technology Strategy, Ben Gumbiner; tech veteran Dave Burlington (current partner at Armanino and former executive at PeopleSoft, as well as Taleo and Epocrates, where he was very involved with the companies IPOs); prolific angel investor Sandy Kory (Palantir, Sprig, Chariot); and Australia’s first dotcom millionaire and serial entrepreneur, Steve Outtrim.